Gary Smith and Andrew Danylyszyn are busy preparing the squad for the latest Southern League challenge, which sees at trip to midlands neighbours Redditch United this Saturday, 3.00pm kick off. The management duo are seeking a seventh win in nine league games since taking over in order to keep faint playoff hopes alive. Redditch had collected an impressive eight points from four games until being brought back down to earth by Stourbridge last time out, and suffering a 4-1 reverse. The Reds secured a valuable victory at The Lamb in the reverse fixture back in mid-October, so we'll be looking for revenge on this occasion. Kristian Green and Jordan Gough are both rated as 50-50 for the game, which unfortunately will come too soon for Aman Verma. Charlie Shaw will be hoping to retain his place in the starting eleven, while Anthony Dwyer will hope his late goal last time out may be enough to earn him a first start for the club. 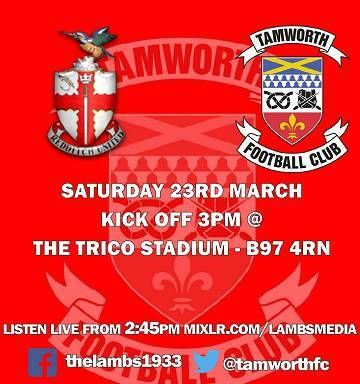 As always, full match commentary will be available via the MixLR app from 2.45pm onward on Saturday.